The defining feature of nearly all public statements surrounding the recent collapse of UK mobile phone retailer Phone 4u has been overwhelming concern for welfare of the 5,596 employees who stand to lose their jobs, coupled with a concerted attempt to pin it all on the operators. Having decided to call in the administrators Phones 4u opted to get its retaliation in first, sending out a press release on a Sunday night, when anyone who might immediately contest their message was presumably doing something more leisurely. Vodafone was understandably somewhat defensive in its response, essentially saying that many months of negotiations with Phones 4u had produced no agreement on how to proceed. It seems the two parties were a long way apart when it came to business terms and that Phones 4u’s negotiating position was severely constrained by the amount of debt (at least £430 million) the company had to service. Of course positioning the debt, rather than the operators, as the baddie would have been less appealing if the objective was to deflect culpability for the situation, since the debt was accumulated on BC Partners’ watch. Better to focus the public’s attention on scheming operators and doe-eyed employees before solemnly handing the whole mess over to administrators. But if Vodafone and EE thought the demonising would stop there they were sorely mistaken. Phones 4u founder John Caudwell, who sold the company to another private equity group for a cool £1.5 billion way back in 2006, apparently still felt he had a stake in the game. In an extraordinary round of press interviews earlier this week the accusations he threw at the operators made Kassler and Quadrio Curzio’s comments look almost conciliatory. While some residual affection for the company he founded is understandable, you would think eight years and a billion quid would have mellowed his paternal ire. To be fair he did also have a go at BC Partners, but he made sure to tweet: “I am sickened and saddened for nearly 6000 wonderful employees who made @Phones4u into a great business. #ruthlessvodafone #ruthlessEE”. Now it’s the bond-holders’ turn, apparently. 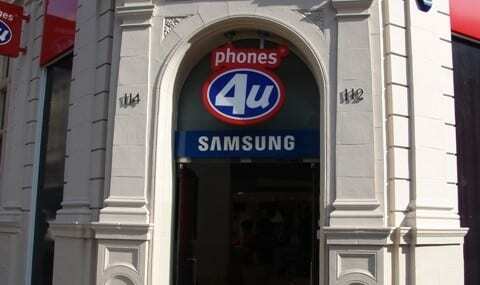 They, apart from the decent/dedicated/wonderful employees, are the potential big losers from the Phones 4u collapse. In short order some of them seem to have appointed a legal firm – Brown Rudnik – to represent their interests in discussions with administrators PwC. The statement they sent to Telecoms.com had a familiar feel to it. “Phones4U entering administration was a real disappointment, particularly for its 5,596 employees, loyal customers and creditors,” said Louise Verrill, Partner at Brown Rudnick. “Our bondholder group has been working hard to ensure that the company’s cost structure can be adjusted to meet the commercial terms that EE and Vodafone put to the previous owners. So, we have proposed a restructure of the business that means the capital structure will no longer be an impediment to achieving the commercial outcome which allows the company to continue as a going concern. On the surface that all seems pretty promising; the bond-holders are going to take one for the team in order to save all those jobs. But a second glance reveals the statement is painfully short on specifics. Verrill is apparently “…acting for a large group of senior secured bondholders in Phones 4U Finance Plc,” but how large that group is remains a mystery. The fact that she looks forward to engaging with Vodafone and EE implies she has yet to do so. And considering how far from an agreement the two were prior to administration, it’s hard to see how, regardless of the severity of the bond-holder haircut, Phones 4u can now meet the operators’ terms and still remain a viable business. Also, who says two operators will be enough choice for the market? And which handset vendors are going to want to take on the risk of supplying post-administration Phones 4u? The operators have, on the most part, kept their own counsel while having all this emotive mud thrown at them, but they must be quietly seething. The continual references to the Phones 4u employees seem designed to put the operators in the most awkward PR position possible, while doing nothing concrete to assist the people they’re apparently so concerned about. The only company to have done anything concrete, ironically, is Dixons Carphone. “We can confirm that Dixons Carphone have agreed, with our blessing, to offer roles to all people in the Phones 4U concessions located in Dixons Carphone outlets,” said Rob Hunt, joint administrator and PwC partner. This also serves as a reminder that, for some reason, Dixons rejected concession partner Phones 4u when it was looking to buy into a mobile retailer and instead chose CPW, which had previously been in bed with US rival Best Buy. Nobody likes to see companies go out of business, especially ones that employ thousands of people, but all these press releases claiming to represent the interests of the Phones 4u employees are at best disingenuous. There appears to be concerted pressure from a number of parties to force Vodafone and EE to resolve a problem that was not of their making. The Phones 4u business model leaves it entirely exposed to the whims of the operators, but it’s absurd to expect them to keep doing business with any other company when it’s no longer in their commercial interest to do so.